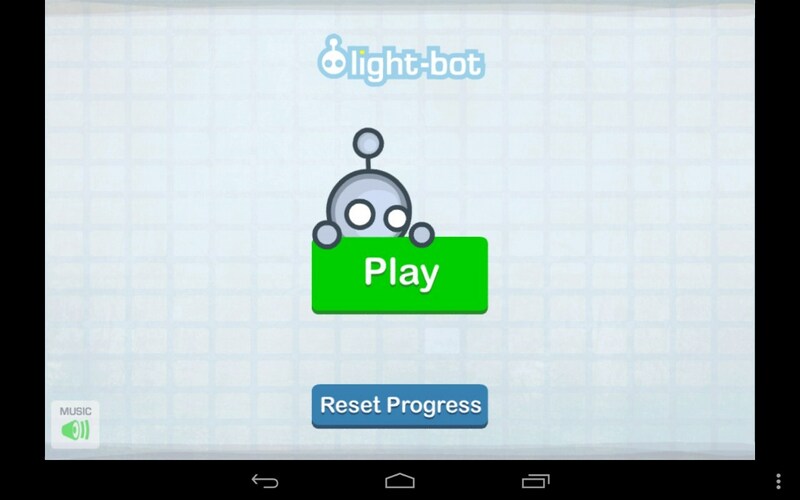 Light-bot – Games for Android 2018 – Free download. Light-bot – Program the robot. 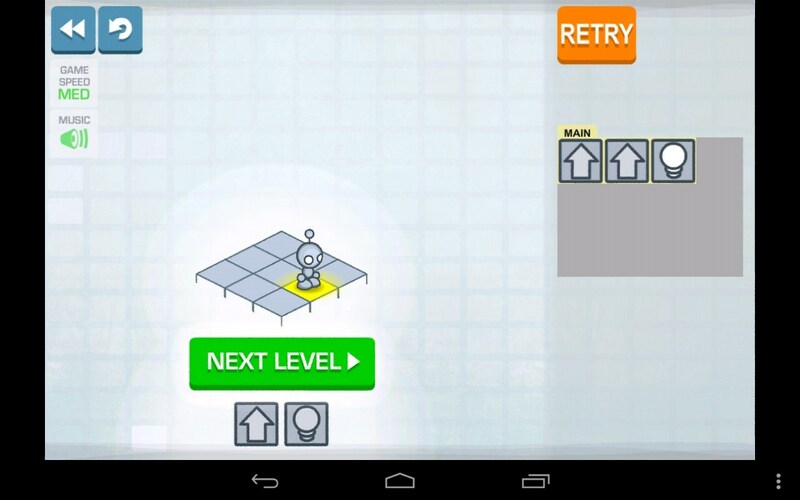 Light-bot - this is an unusual but highly addictive puzzle game for Android. In the game you have to write a simple program for the robot, which will consist of a sequence of simple actions: move, rotate, jump, etc. 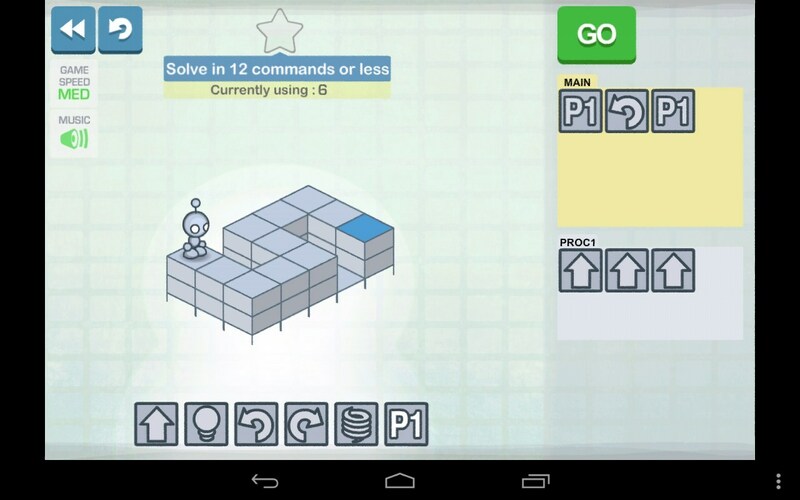 Work out and write a program, and if you did everything correctly, the robot will pass the level. In terms of graphics the game is made very easy. Painted picture without any frills fits into the overall style. 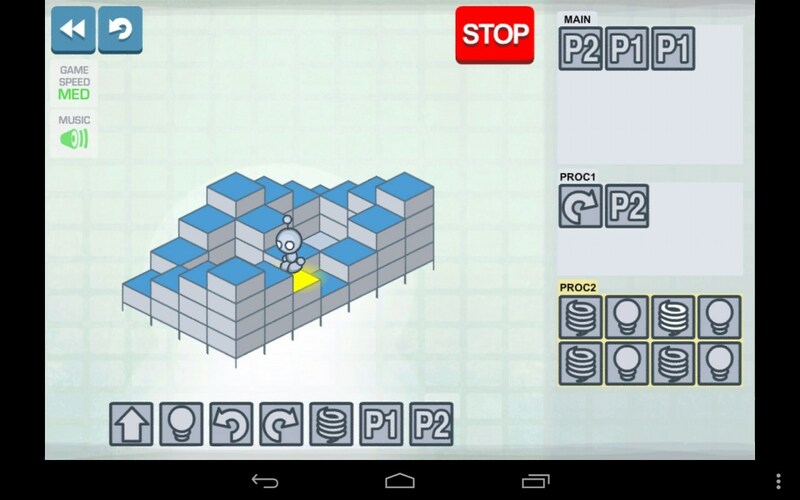 Each level is very simple - white space and playing field, consisting of squares, in which the robot moves pretty. However, developers have worked good animation and electronic music fits perfectly and complements the gameplay. The idea of ​​the game is quite original, of course previously had similar games, such as MYBOT, but they had a lot of shortcomings. 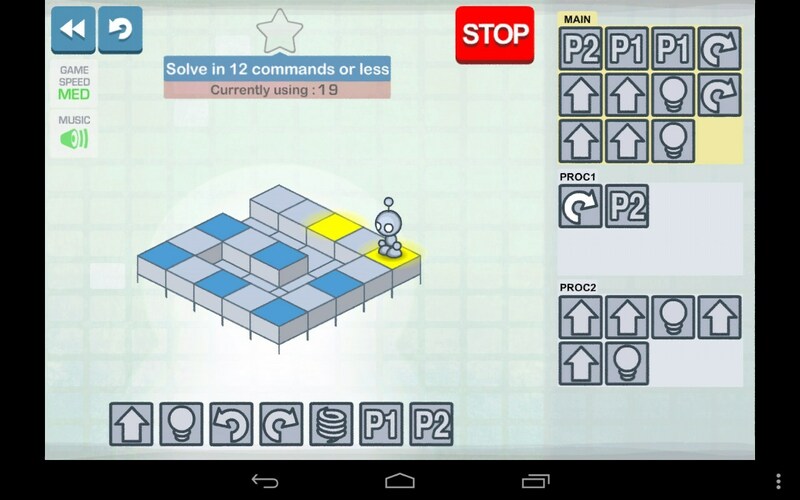 In the game before you will clear task - to program the robot so that it was level. Programming is simple and clear, you just need to dial a sequence of actions that the robot performs. The main thing to consider in detail the route and properly record a sequence of actions. The first levels are simple, they would be a simple chain of actions, and especially over them do not have to think. But more levels will be much more difficult, in addition to the fact that the cards will be more there will be additional actions: jump, turn and stuff. As a result, will have to pass the levels by trial and error. That is, you will need to constantly adjust the program until you get the perfect option. Note that the length of the program will be limited, and therefore, will have to choose the best option. Slightly simplify your task subroutines and loops that can be filled with the same type of action. But on the other hand additional elements in programming complicate gameplay. The game does not appear to be any serious shortcomings, all performed at a very good level. Defects do not occur in the schedule or in the gameplay. However, the cost of the game somewhat overstated, and $ 3 for this puzzle is still a lot. 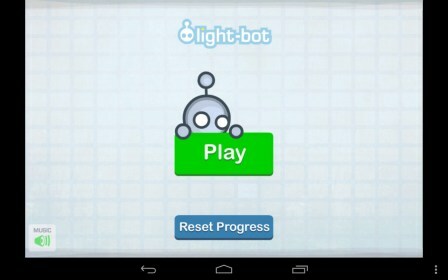 Light-bot - this puzzle game for Android will be able to bribe you with its simple graphics and unusual gameplay. On completion of all levels, you will need more than one hour and even day, but with this game you will not be bored. And at the same time as you pass game, you can learn the basic principles of compiling programming algorithms that may well come in handy in the future.